I think I need some lullabies to make me sleep longer. Ha..
Oh, I am totally getting this for baby #1 (who is kicking me right now, telling me she WANTS it). Thanks for sharing! I wish I would have known about this with my first. :) So cool! This is awesome! I'm going to have to remember this for when we have kids! Oh, I love these. We own a couple U2 renditions and they are just lovely. It is hard for me not to fall asleep! 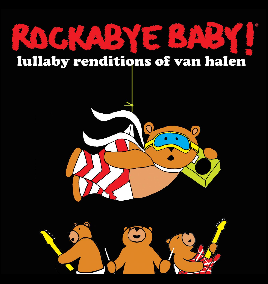 i have seeeeriously been tempted in the past to go ahead and buy the pink floyd version for my future children! mind blowlingly clever, whoever invented this idea! Too funny! I've never heard of such a thing!